"For our citizenship is in heaven, from which also we eagerly wait for a Savior, the Lord Jesus Christ who will transform the body of our humble state into conformity with the body of His glory, by the exertion for the power that He has even to subject all things to Himself." I often encourage myself and others by reminding us this life isn’t all there is for us. I greatly value my citizenship here in the United States of America, and I remember this Memorial Weekend the ones who paid the ultimate price for our freedoms we enjoy as Americans. Though I enjoy many pleasures here, I eagerly await the revealing of my Savior as I receive my citizenship in heaven where I truly belong. I look forward to being transformed from this mortal body into a glorified body by the exertion of His power. I am comforted by the assurance all things are subject to that power. How I look forward to my eternal citizenship with my Savior, Christ Jesus, my Lord! 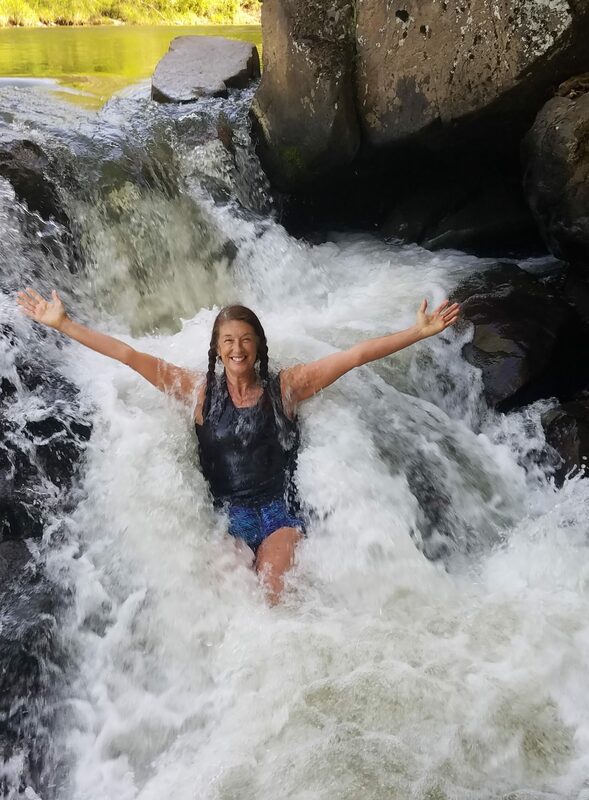 Chestnut Creek Falls can feel like a bit of heaven after a long, hot run on the New River Trail, but I know eye has not seen, or ear heard, or any human mind conceived what our Father has prepared for His children in heaven who love Him!